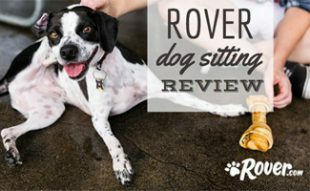 When it comes to traveling and your dog, you really have two main options: Fido can go to a kennel or Fido can stay with you. If you’re anything like us, we’d rather take our BFF (Best Furry Friend) with us rather than leave him or her behind. That’s why we’ve compiled a list of the top pet-friendly hotel chains so you and your dog can kick the kennel to the proverbial curb. 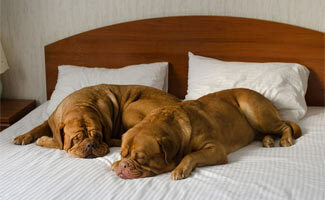 Before you ever leave home, there are a few things you need to know about staying overnight with your pet; even pet-friendly hotels have their requirements and it’s best to be prepared. See if an in-room kennel is required. Bring a door hanger notifying others of your pet; your hotel may not provide one. If you leave your pet alone, turn on the radio/TV so there is some background noise. Don’t leave your pet alone in the room if they continuously bark. Call the hotel to confirm that they are indeed pet friendly before you leave home. Know your pet’s weight. It could be required at check in. Kimpton rolls out the red carpet for your pup with their KimptonPets program. They have cozy pet beds for loan, in-room food and water bowls, courtesy bags for walking your dog, door hangers to alert staff and guests that a pet is in your room, and a concierge list of nearby pet-friendly restaurants, shops, parks, etc. But all those perks aside, our favorite feature is that Kimpton welcomes every size, weight, and breed of pet at no additional cost at every Kimpton location. To top it all off, many locations also have a “Director of Pet Relations” – each hotel’s own canine whose sole job is to welcome you and your pet to the hotel. W’s P.A.W. — Pets Are Welcome — program starts when you enter the hotel’s doors with a doggy welcome packet. Included in this pack is a pet toy, a treat, a W Hotel pet tag, clean up bags and details about pet services. Their courtesy continues when you walk into the room with a custom pet bed, food and water bowls, “pet in room” door sign, and a special treat at turn-down. W’s high level of service does come at a price, the room rate increases $25 with pet residence, and a $100 non-refundable cleaning deposit is required. They also only allow one pet per room and that pet can be no larger than 40 pounds. Hotel Indigo is an IGH-owned hotel (FYI: many other brands under their umbrella are pet friendly too) that caters to your furry guest with food and water bowls, in-room beds, and enough lush green space outside to accommodate their outdoor needs. While not every Hotel Indigo is pet friendly, plenty of them are — and of those plenty, there is a sizable selection stateside and out of the country. So should you decide to travel abroad with your BFF, Hotel Indigo has you covered. Fees and weight limits are set by participating hotels, so be sure to contact the one you’re interested in for specifics prior to your arrival. While these big name hotel chains may not cater to your pet’s every whim, they have more locations than the above boutique options. 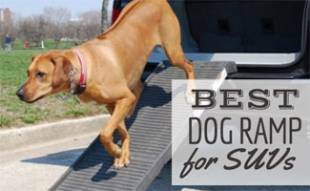 Hopefully, this makes it easier than ever for you to plan a trip with your pet soon. Choice Hotels offers more than 2,500 pet-friendly property options across their 11 brands, including but not limited to, Comfort Inn and Comforts Suites, Quality Inn, Sleep Inn and Clarion. What they lack in amenities, they make up for in options. Many of Marriott Hotels are pet friendly — you’ll just need to call to be certain the one you choose is — and with 3,800 hotels across 18 brands worldwide, that leaves no shortage of travel destination options. Use your hotel’s WiFi access to check local pet-friendly haunts, including shops and parks. IHG (International Hotels Group) — owner of brands like Hotel Indigo (a top pick above), Crowne Plaza, Holiday Inn and Candlewood Suites — understands it’s not always possible (or preferable) to leave you pooch at home. 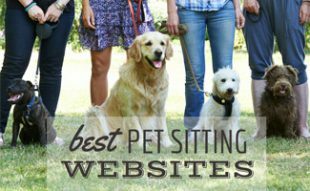 That’s why many of their brands, across the country and the ponds, are pet friendly. 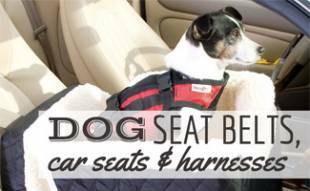 Is your dog an experienced travel companion of yours? Have you visited a hotel chain that took good care of you and your pet’s needs? Tell us your experiences and any travel tips you may have. The service of Hotel Indigo is very impressive. Also my two pets get good treatment. I did not have a single issue. I felt like I was staying at the type of hotel that I deserve to stay in at the La Quinta in Ocean City, MD, rather than a lesser one because I was traveling with my dog. We have stayed in La Quintas across the country now, and have always had great experiences! Always stay at La Quinta when we travel with our two dogs, they stay free at La Quinta.